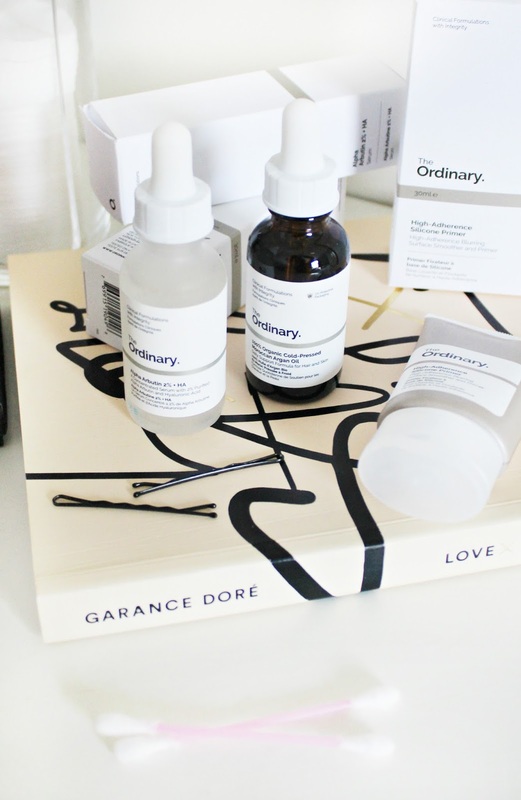 Trying Out The Ordinary Skincare. If you follow me on Instagram (cheeky self-plug: you totally should if you don’t already), you might have seen me talk a little bit about The Ordinary. I purchased a few things from the brand on ASOS and unboxed them in an Instagram story a few weeks back – and since then, I’ve been trying them out to see if they’re as good as they’re hyped up to be. The price point of the brand is honestly what makes it so easy to buy so much – even though I only picked out three things, I had to restrain myself from getting everything they had on the website. Each product is priced between £4-£9, which is incredibly affordable for such high quality skincare products. I picked out a primer, a serum and an oil, with the hope of getting a good general idea of the range without buying it all. The High Adherence Silicone Primer was the most affordable out of the three, priced at £4. It’s a gel textured primer which blends easily into the skin leaving a demi-matte base for your foundation to adhere to. My first impressions are that it’s definitely a decent primer, especially for the price point. I prefer glowy primers like my favourite Becca Backlight Priming Filter, but if you’re a fan of simple no-nonsense primers – this would be perfect for you. I also chose the Alpha Arbutin 2% + HA – a serum which claims to visibly reduce the look of spots and hyper-pigmentation (both serious issues for me). So far, I have been enjoying using it but I haven’t noticed any serious difference yet. I use it morning and night after my cleanser and before my moisturizer – but I’m going to keep at it for a few more weeks as I’m sure this one will take time to start showing results. The last product I picked up is a total dream, and I couldn’t believe the price when I saw it. It’s 100% Organic Cold Pressed Moroccan Argan Oil, perfect for healthier skin and stronger hair. It’s incredibly lightweight and it doesn’t feel greasy or heavy on my fine hair – it adds a lovely soft sheen and keeps the ends nice and moisturized. This was £8 for 30ml which I was seriously impressed by, and the product itself has become a total staple in my haircare routine! If you couldn’t tell from the post, I’m really keen to try out more from the brand! Dreamy Skincare From Fresh Beauty. Next Post Two From Antipodes.